Keep app users happy and engaged with these 5 tips for increasing app retention - don’t let them leave without a fight! People are absolutely obsessed with themselves, and catering to this natural narcissism goes a long way to winning folks over. Never pass up a chance to incorporate personalization into your app, whether through referencing a user’s name, location, or past purchase behavior (which you’ll want to do subtly to bypass any creep out alarms). Include these personalized touches via push notifications, emails, and in-app messaging. You can also deliver a customized experience with content, making sure to deliver relevant, valuable content that matches a user’s unique needs. These kinds of award-winning experiences are what keep app retention high. Netflix is a superstar at doubling down on personalization, collecting user data and suggesting shows it knows users will enjoy. This delivers a more positive experience to the user, keeping customer satisfaction sky high (even if your friends judge you for your personalized Sci-Fi Movies About WWII category). Let’s face it; churn is as inevitable as the sun and stars. Some folks are going to leave your app, but knowing why their abandoning your app will allow you to save other users in the future. Ugly UX. If users can’t figure out how to navigate your app, it will quickly get kicked to the curb. Make sure you have intuitive navigation and a delightful looking UX design. Bugs. Bugs don’t just frustrate users – they also reflect that your app isn’t stable and, as a result, perhaps not trustworthy. Poor Messaging. Irrelevant and incessant messaging often irritates users to the point of uninstalling. Be smart about your mobile messaging and give users an easy option to turn notifications on, off, or set frequency. Seasonality. Some apps, such as wishlist apps or kid-friendly park locators, will have a certain seasonality about them. Don’t stress too much about these uninstalls, but consider emailing old users next season to see if they’re interested in your new & improved version! Updates & New Versions. Upgrading your app gives you a chance to add new or missing features and build upon the feedback you’ve received from users. However, in some situations, certain segments of users may reject your new and improved version (especially if you’ve made major overhauls to design, navigation, or app objective). Try to get feedback from these abandoners to see exactly what drove them away. And don’t be too hard on them – change can be scary! Increasing app retention isn’t just about knowing why users uninstall your app – it’s also important to understand the personas of your app abandoners and what behaviors they’ve performed in the past. You can muck about in your data to discover these key behavior paths of abandoners, but there are some great tools out there that do the thinking for you. Predictive Insights is a pro at this, as it self-learns based on all your collected data and shows the likelihood of certain user buckets converting or churning. For example, predictive insights might show that users who didn’t upload a profile picture in your social app within 3 days of joining have a 30% chance of abandoning your app. To remedy this, you may begin implementing an onboarding program that includes adding a profile photo (among other things). Did your user skip the onboarding? Send them an in-app message next time they log in reminding them to add a profile photo! Tools like Predictive Insights go a long way to helping you turn potential churners around and boost retention. Many users uninstall apps as a result of spammy, irrelevant messaging. 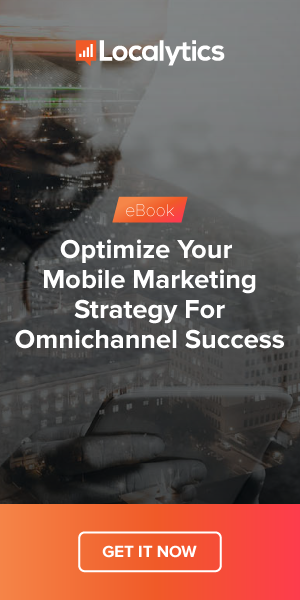 Make sure you’re not sending out push messages for kicks and giggles – your marketing campaigns should always be highly optimized and have a clear goal. Brush up on best practices for push notifications and always include powerful CTAs in your copy to give users a next step to take. Email. Email is an often untapped tool for communicating with users outside of the app. Use it smart and sparingly to keep users subscribed. Geofencing. Incorporating geofencing into your push messages allows you to message users when they’re close to a brick and mortar location. Use this to increase physical footfall in stores. Rich push. Android phones and now iOS10 can show rich media (think images, GIFs, and videos) within their push notifications. This is an extremely powerful way to boost engagement and drive users back into the app so make sure you take advantage of it. Make sure your marketing always matters! And of course, measure and track everything you send out to make sure you know what’s working and what’s not. You should be constantly testing and tracking to ensure you’re always giving you users the best of the best. Every app is different, and every audience has unique needs. While a stream of colorful emojis may work for Dominos, it could turn finance app users running. Don’t simply go by best practices – experiment and evaluate if certain tactics work for you or not. In other words? A/B test. It’s also essential that you look past simple metrics like clicks and find ways to measure metrics that are more aligned to your business goals, such as engagement, revenue, and conversions. True Impact is one feature of Localytics that can help a ton in this area. True Impact helps apps evaluate the engagement and conversions that come as a result any given marketing effort. For example, True Impact could be used to learn how many users bought a pair of shoes from your fashion app after a well-timed push message promoting a new sale. Some users will click your message to follow through, but plenty of others will simply close out of your message and open the app themselves. This exhibits how clicks can often be a misleading metric, as simple click rates don’t always reflect the true performance of a messaging campaign. Testing, tracking, and correctly measuring your marketing efforts will help you build better campaigns, increasing app retention as a result. Do you have any tips for increasing app retention? Share your best-kept secrets in the comments!